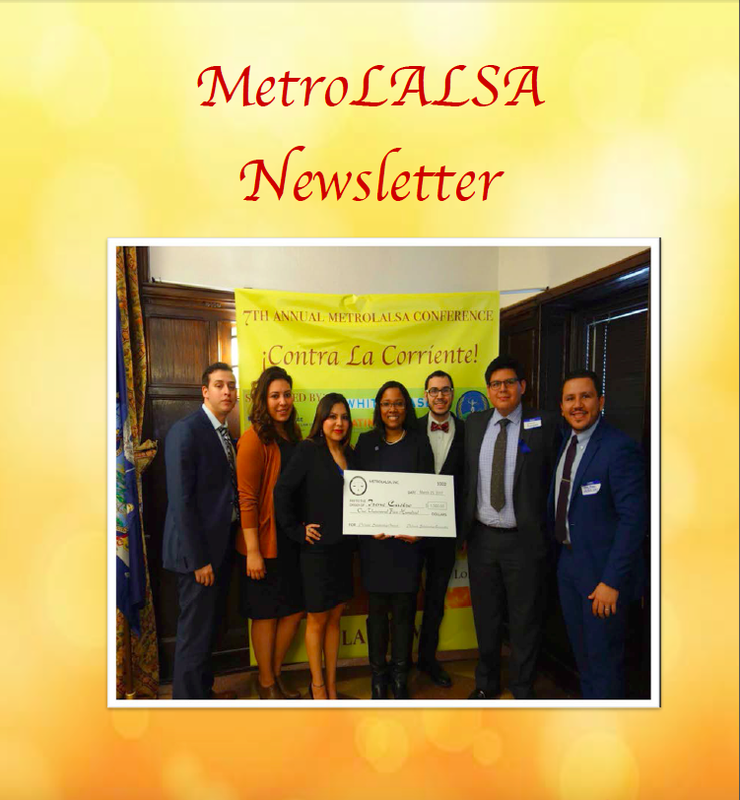 Established in October of 2014, the MetroLALSA Pa'lante Journal is a student-run newsletter for law news and features, and it is a leading resource for Latina/o law student news content. The Pa'lante Journal connects law professionals with a diverse community of law students within the metropolitan New York/ New Jersey area. Available to the right are the two issues released in 2015 and one issue released in 2017. Check out these issues and share your thoughts to the managing editor, MetroLALSA's VP of Public Relations, Andrea Rodriguez, at publicrelations@metrolalsa.org. If you would like to subscribe to the Pa'lante Newsletter, please submit your information below.